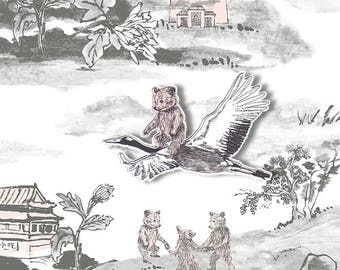 Announcement Founded in 2009 out of a desire to create products that evoke a sense of magic and fun for children and adults alike, Sian Zeng is an award winning London-based design company specialising in wallpapers, interior accessories and gifts. Our philosophy is to encourage playfulness and imagination, which is why we developed our range of interactive, magnetic wallpapers. 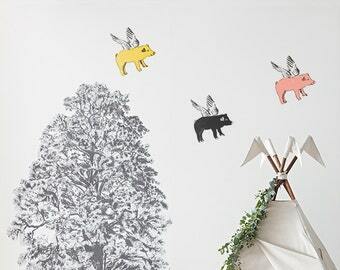 Offering a fresh design perspective and a desire to create a whimsical narrative, our customers can play out their own fantasies by moving a cast of magnetic creatures and buildings across the wall, adding quotes and stories with our write-on speech bubbles. Originally born in China, Sian moved to Hungary when she was 7 and sees her multicultural upbringing as the driving force behind her imaginative concepts. 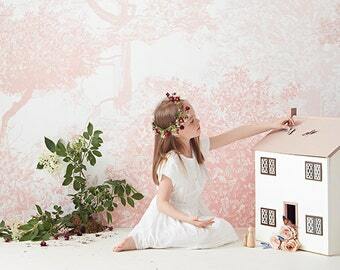 A graduate of Central Saint Martins, Sian won the William Atkinson Scholarship in 2008 and the Elle Decoration Young Talent of the Year Award for 2010/2011. Quickly garnering a global following, Sian Zeng products are now stocked worldwide in shops, while Hilary Duff chose the magnetic woodlands wallpaper for her son’s nursery. 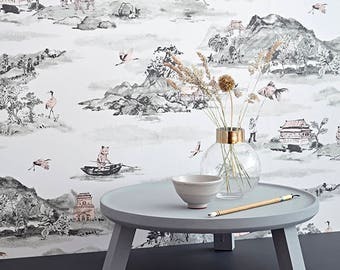 Working with world-renowned interior designers to offer clients a range of unique home accessories and quirky wallpapers with a bespoke feel, our products are readily available in a beautiful range of colours and patterns. 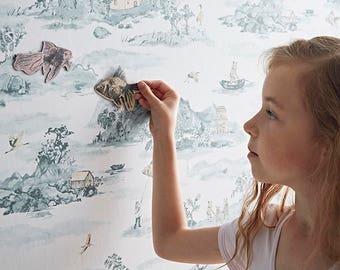 Founded in 2009 out of a desire to create products that evoke a sense of magic and fun for children and adults alike, Sian Zeng is an award winning London-based design company specialising in wallpapers, interior accessories and gifts. 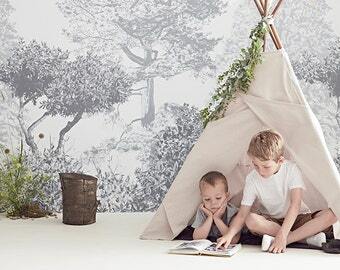 Our philosophy is to encourage playfulness and imagination, which is why we developed our range of interactive, magnetic wallpapers. Offering a fresh design perspective and a desire to create a whimsical narrative, our customers can play out their own fantasies by moving a cast of magnetic creatures and buildings across the wall, adding quotes and stories with our write-on speech bubbles. So gorgeous!!!! I absolutely loved this when I saw it online and it’s even more amazing I person. Beautifully and carefully wrapped. Perfect!! Loved my order!!Perfect! Thank you!!! 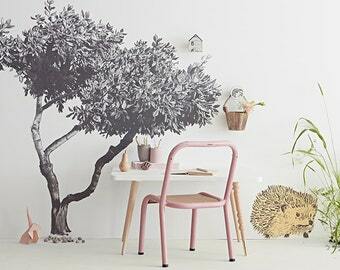 I love to work with this printing service, because they produce high quality wallpapers with a environmentally friendly outlook. High quality printing service onto paper from sustainable forests. Digital Printing Service based in the UK. This printing manufacturer is the only UK based printing company able to print with VAT dye method, which makes the colours more permanent and less prone to fading. I chose to work with this charity because they not only produced very high quality sewing work, but were helping mentally disabled people to return to employment. By purchasing from Sian Zeng you agree to our terms and conditions detailed below. Please take the time to read and understand this Agreement before making a purchase of a Sian Zeng product. If you have queries relating to this Agreement, please email us at info [!at] sianzeng.com before placing your order. We endeavour to please our customers by providing beautiful, high quality products. However, we understand that when buying online it can be difficult to visualise the products in person and you may change your mind on receipt of your order. If you would like to return your order, we offer a ‘cooling off period’ of 14 working days following the first working day after you receive your Sian Zeng order. A working day is any day except Saturday, Sunday and UK public holidays. To cancel your order during this time, please email info [!at] sianzeng.com. The product must be returned, at your own cost, within 14 days of your cancellation e-mail. You must take reasonable care of the Sian Zeng product while it is in your possession and you are responsible for the condition of the returned item. If the product is returned in good condition within 14 days of your e-mail, you will receive a refund for the price you paid. If you fail to return the product in good condition within 14 days of your e-mail, you will be responsible for payment. Please note, if you received a discount on purchase, you will be refunded the discounted price. We endeavour to check all items prior to dispatch, but should an item arrive faulty or damaged during transport, please email us at info [!at] sianzeng.com immediately (within 48 hours of receipt) with images attached showing the damage. If the item was damaged during transport, please send us an image of the damaged packaging as well. Please send your faulty/damaged items back to us and we will refund you for your postage and send the replacement item back to you. All payments are securely processed either through Paypal if you are paying with your paypal account or through Stripe if you are paying with your Visa, Mastercard or American Express card. We have installed the Secure Sockets Layer protocol (SSL) on our website that will automatically encrypt your confidential information in transit from your computer to our store.Payments are processed at the time of ordering; however, we only process orders which have been screened and accepted by Paypal or Stripe. Note also that all credit/debit cardholders are subject to validation checks and authorisation by the card issuer. If the card issuer does not authorise payment, we will not process the order. In the event that your order is flagged by a ‘warning’ or ‘caution’ from Paypal, we will contact you for further information required. Without this further information being provided within 3 working days, we will cancel your order and you will be refunded via Paypal accordingly. Please note, we cannot guarantee the absolute accuracy of the details on the site and suggest using it as a guideline. We aim to send out Sian Zeng products ordered before 12:00 noon GMT on the same working day and on the next working day for orders received after 12:00 noon GMT. However, this is not guaranteed and we will contact you if we expect an excessive delay with the despatch of your order. We deliver worldwide! Yay! Shipping prices for individual products are displayed on the product pages. If you order multiple items, a combined shipping price will be calculated. You will not be charged shipping for individual items. It is the responsibility of the customer to pay any applicable customs charges. Delivery to Europe is 3-6 working days, and to the rest of the world is 5-9 working days. Unless otherwise stated, we use the Citylink, Fedex, UPS or Royal Mail service for the sending and delivery of Sian Zeng Products; the total cost of your order will include a delivery charge. Delivery times will vary according to the carrier; we recommend placing your orders early at particularly busy times of year (such as Christmas) to make allowance for delivery delays. When entering address details, please be aware there is a difference between the delivery address and invoice address areas of the order form. We cannot arrange for deliveries of Sian Zeng products to be left with a neighbour or similar requests; all deliveries must be signed-for at the delivery address you provide to us as part of your order. Note that we cannot be responsible for orders which go missing after delivery. We endeavour to closely monitor our stock levels and aim to show only the products available in stock. If a Sian Zeng product becomes out of stock at the time of placing your order, we will inform you and you will not be charged for it. We endeavour to display as accurately as we reasonably can the true colours of Sian Zeng products. However, we cannot guarantee that the colour of a Sian Zeng product as delivered will replicate how it appeared to you on-screen; in part, this is dependent upon your computer’s display monitor, and how you perceive colour. 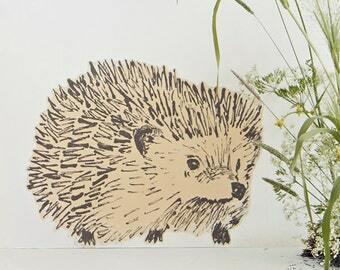 Some of our products are hand printed and handmade and shading and dimensions may vary slightly between the same products. 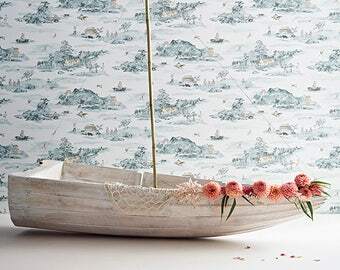 Our wallpapers are produced in batches which may vary due to the handmade process that we use. For this reason, please note the batch number of your order down in case you may need an extra roll or a replacement roll in the future. We normally keep a few rolls from each batch so we will be able send a matching roll to you if needed. All sizes and measurements concerning Sian Zeng products are as accurate as we can reasonably make them. We continually update the Sian Zeng site and regularly have offers and promotions which are not available in our other stockists. A single offer cannot be be used in conjunction with any other offer. You acknowledge that all copyright, trademarks, and other intellectual property rights in and relating to the Sian Zeng site and Sian Zeng products are owned by, or exclusively licensed to, us. It is easy to copy material which appears on web-ites, but this does not mean it is legal. Therefore, no-one may copy, distribute, show in public or create any derivative work from the Sian Zeng site, a Sian Zeng product or any of the material which is found on the Sian Zeng site unless properly licensed to do so by us. a. We warrant that Sian Zeng products will be manufactured with reasonable care and skill with the intention of meeting our specifications for them. However, we cannot and do not guarantee that Sian Zeng products will meet your requirements. ii. The price you paid for that Sian Zeng product. ii. for any indirect, special or consequential loss damage, costs or other claims, howsoever caused or arising, whether through non-supply or late supply of an Sian Zeng Product or other non-performance of this Agreement or otherwise. f. The provisions of this Clause 9 shall survive the termination or expiry of this Agreement. This Agreement is intended to contain your entire agreement with us relating to the Sian Zeng site and Sian Zeng products; we believe it to be fair and reasonable. It replaces all earlier agreements and understandings with you relating to the Sian Zeng site or Sian Zeng products, except for any fraud or fraudulent representation by us. A person who is not a party to this Agreement has no right under the Contracts (Rights of Third Parties) Act 1999 to rely upon or enforce any term of this Agreement. We reserve the right to change this Agreement from time to time, and post the new version on the Sian Zeng site. The new version will take effect for any activity on the Sian Zeng site, including any purchase of an Sian Zeng product, after the new version is posted on the Sian Zeng site. This Agreement, and each purchase of an Sian Zeng Product, shall be governed by the laws of England and Wales and subject to the non-exclusive jurisdiction of the English courts. The Sian Zeng site is provided, and Sian Zeng Products are sold and supplied through it, by Sian Zeng, whose address, for business conducted through the Sian Zeng site, is Studio 112, Cockpit Arts Deptford, 18-22 Creekside, London SE8 3DZ. Our UTR is 2631847178. Please note that all notices under this Agreement are to be sent and received by email. For this purpose, your notices should be sent to info [!at] sianzeng.com and we will send our notices to you at the email address you provide through the Sian Zeng site, such as when placing an order. What information do we collect for processing your order? Your name, invoice address, delivery address, email address, telephone number, credit card details. We may also ask you how you first found out about our website. We use this information to send you the product that you have bought and to charge you for the product. 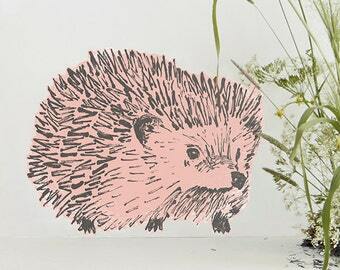 If you have signed up to our newsletter we will send email or conventional mail to you, to let you know of our news, offers and open studio events. Don’t worry, we are a nice company and will not bombard you with newsletters. We perform statistical analyses measuring relative interest in the various areas of our site and customer profiles. We do not, under any circumstances, provide email addresses to any third party, share the information we track on this site, in any form, with advertisers or other parties or release personal information about any of our individual visitors. At your request we will remove you from the email update service. Please click on the ‘unsubscribe’ link at the foot of the email and follow the prompts to do so. Please note, we are not responsible for the content or the privacy policies of websites to which this site may link.